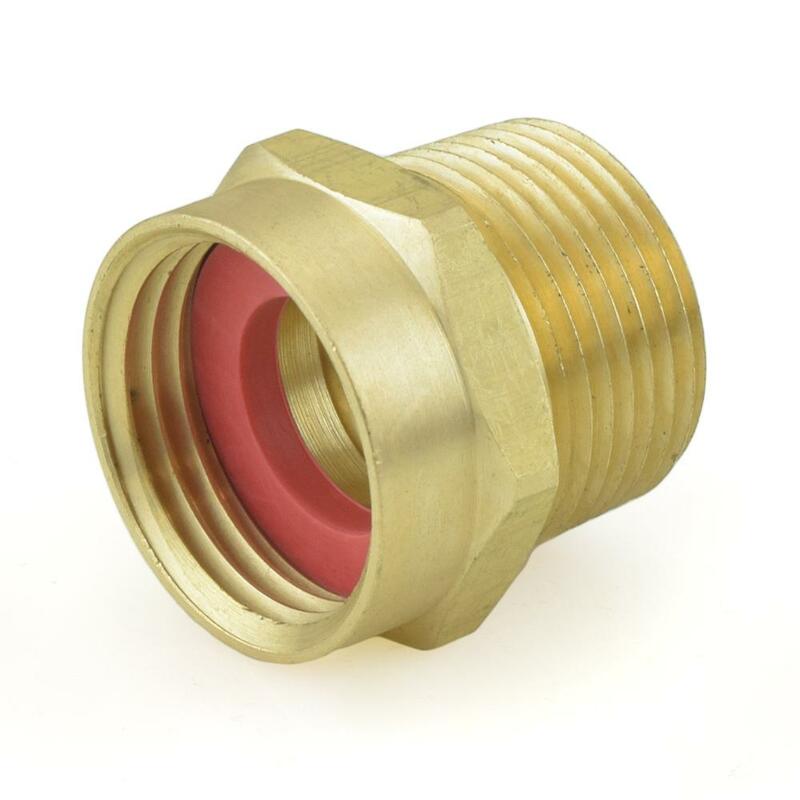 The GH-MF-40 from Everhot is a 3/4” FGH x 3/4” MIP (tapped 1/2” SWT, Drill-Through) Brass Adapter. It allows to connect 3/4" male garden hose outlet or fitting to a 3/4” female threaded outlet or fitting in a straight line. 1/2" sweat tapping (full slip/no internal stop) allows to connect 1/2" copper pipe (5/8" OD) using regular soldering method. Rubber washer included. Note: This product does not meet the new low-lead criteria defined in Safe Drinking Water Act and cannot be used for potable water applications, including for drinking and cooking. This product can be used for non-potable water applications only.